The Asus ZenBook Pro 14 is a small-screen version of the Asus ZenBook Pro 15 which was released earlier this year at the Computex Taipei Expo that held in Taiwan. While Asus also announced the ZenBook Pro 14 at the event, it was never launched. 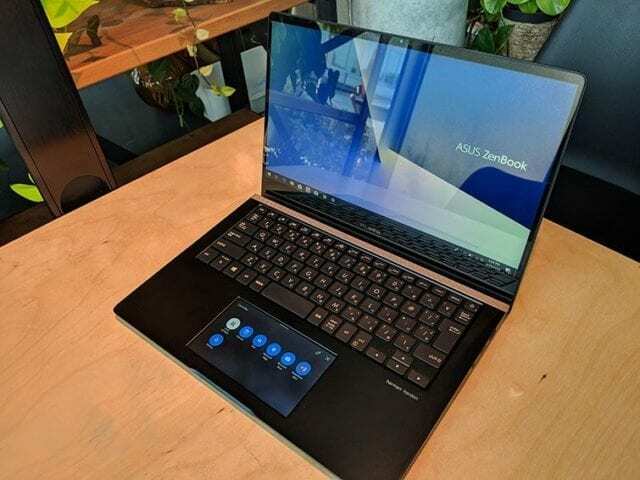 However, at the recently concluded IFA 2018 tech trade show in Berlin, Asus took the veil off the ZenBook Pro 14, joining the long list of many other amazing laptops and Notebooks that were launched at the event: Lenovo’s premium 2-in-1 Knock-to-Open convertible PC for example. The ZenBook Pro 14 as a member of Asus’ high-power ultra-portable ZenBook Pro family comes with some interesting modifications to its design and likewise, sports the latest Intel processor and NVIDIA graphics hardware for better performance. With the lid and chassis made from finely brushed aluminum metal, the ZenBook Pro 14 sports and elegant aesthetic that sure does look good to the eyes. The Notebook is also solid and sturdy and can be used almost anywhere as it is certified to MIL-STD 810G military standard. Asus mentions that the ZenBook Pro 14 is durable and has passed extended tests for usage in extreme altitudes, humidity, temperature, and other harsh environmental condition. The keyboard on the Asus ZenBook Pro 14 is backlit and ergonomically designed for comfort during usage. The keys on the backlit keyboard comes with a key travel of 1.4mm; just the right amount of key travel that allows for soft keypress and easy tapping of keys when typing. 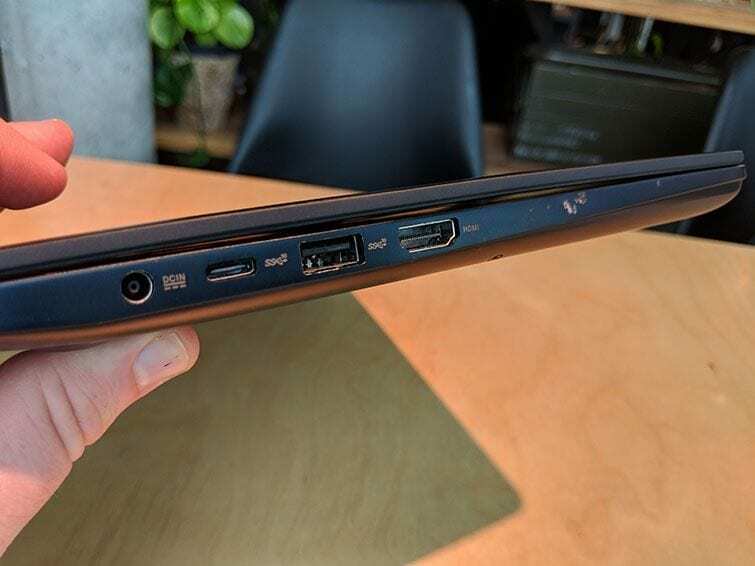 The ZenBook Pro 14 also comes with Asus’ ErgoLift hinge which helps tilts the keyboard (at 5.5 degrees) for more comfortable position during long periods of typing. 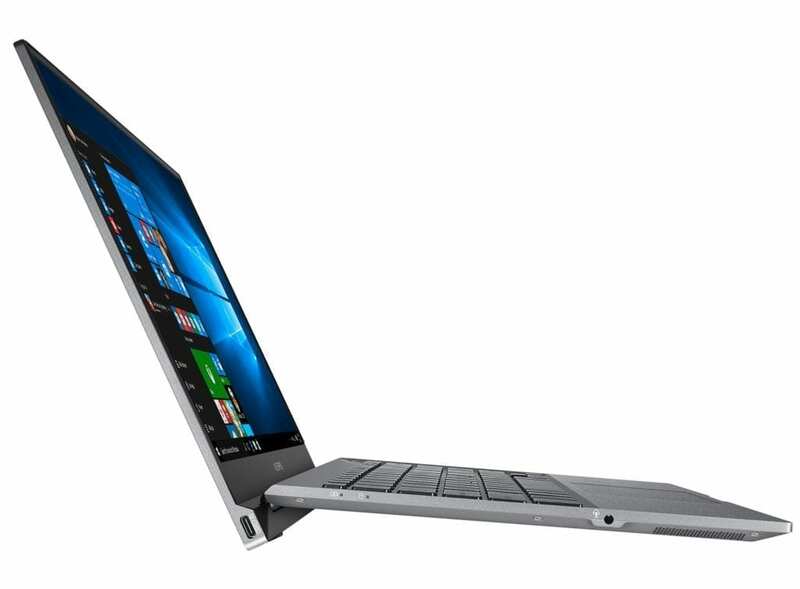 The ErgoLift hinge (which debuted on the Asus ZenBook S this year) is also designed to help with cooling by raising the bottom case from the surface upon which the laptop is placed. Sized at 14-inch, the display on the ZenBook Pro 14 is LED-backlit and comes with a Full HD (1920 x 1080 pixels) in 16:9 aspect ratio. The display is a touchscreen and comes with support for the Asus Pen stylus. 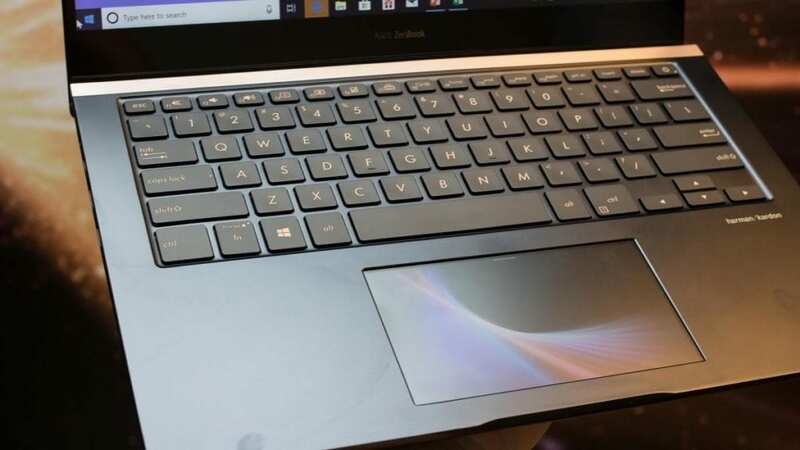 One interesting detail about the ZenBook Pro 14 display is its ultra-slim bezel; coming in at 5.2mm, the screen has an 86% screen-to-body ratio and almost seem like a 13-inch laptop. The ScreenPad is one of the highlight (and biggest design modification) of the Asus ZenBook Pro 14. The ScreenPad is the regular mouse touchpad with a screen underneath it. Or let’s say, a screen within it. 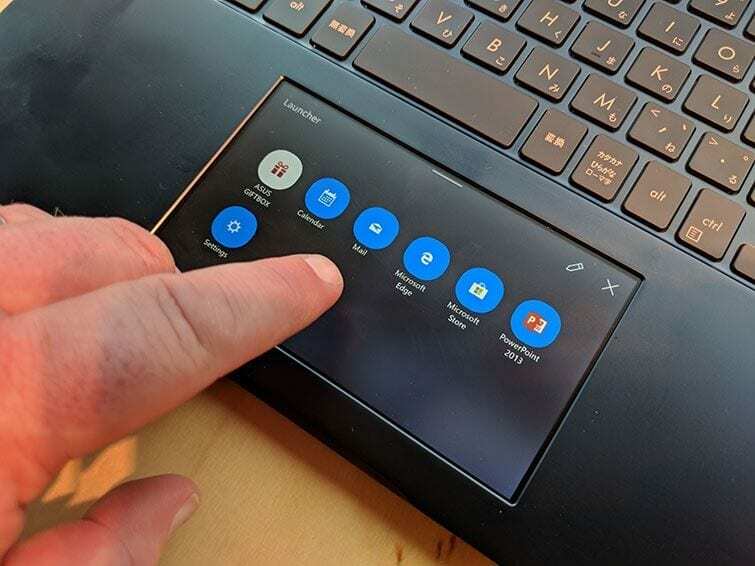 Just like how Lenovo eliminated the physical keyboard and replaced it with a screen on the Lenovo Yoga Book 2, Asus also discarded the physical touchpad for a ‘screen touchpad’; called it the ScreenPad. 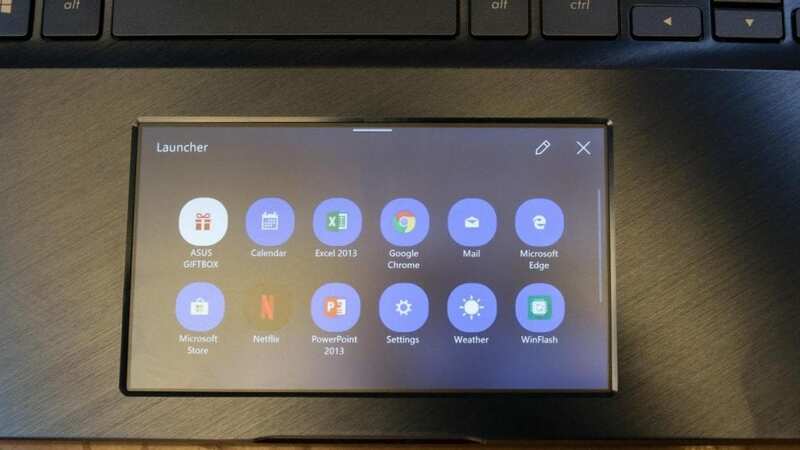 The ScreenPad —a 5.5-inch Full HD display— is more like the second screen of the Notebook that comes with dedicated apps shortcut and allows users quickly create and edit documents on Microsoft Office apps, create shortcuts for your favorite or most used apps, control music, calendar, calculator and other dedicated ScreenPad apps. The ScreenPad can be used like a normal touchpad and when the display is off, you can hardly tell that it actually is a full HD screen. Based on CPU, there are two versions of the Asus ZenBook Pro 14. The bugger and more powerful version comes with Intel Core i7-8565U quad-core processor that clocks up to 4.6GHz. The second version come with a 1.6GHz quad-core Intel Core i5-processor. In charge of graphics on the Asus ZenBook Pro 14 is the Nvidia GeForce GTX 1050 Max-Q graphics processing unit. Whether you’re a designer, a developer or a gamer, this visual prowess means you’ll always enjoy the smoothest possible graphics performance with ZenBook Pro 14. Storage on the ZenBook Pro 14 starts at 8GB DDR4 but can reach up to 16GB memory while the SSD is a NVMe PCI setup that can peak up to 1TB. The ZenBook Pro 14 comes with a 70Wh fast charging battery (60% in 49 minutes) which Asus says can last up to 13 hours, but will barely supply up to 10 hours with the ScreenPad’s display powered up — which is still decent enough. Other features of the Asus ZenBook Pro 14 include IR Camera for fast login using facial recognition and support for dual virtual assistant: Windows Cortana and Amazon Alexa.